“Do I have to go?” That was my first thought. I almost said it, too. Nona and Papa had just said, “Solbit, early buttonholes tomorrow. We’re going to the Anza-Borrego Desert!” Hey, I don’t wear clothes, so I don’t have to button anything, but who wants to get up early to see a big, hot, dusty, empty expanse of crunched up rocks? 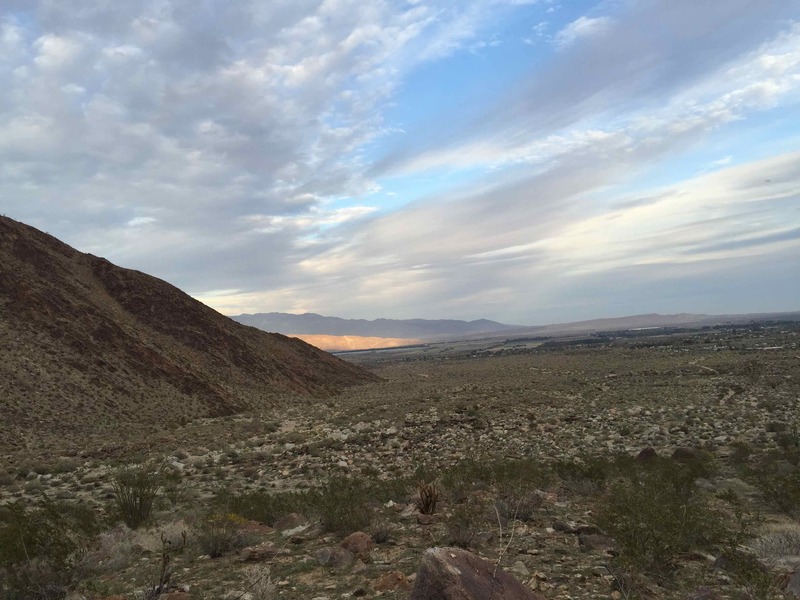 Anza-Borrega Desert State Park is in the Colorado Desert, but it’s not in the State of Colorado. No, it’s in southern California. That confused me. Then, I remembered our short excursion in the desert gardens at Rancho Mirage. Wow, I had so much to see, and it was tiny. So, my second thought was, and I did say this, “Can’t we just leave now? I can’t wait to see the desert again.” Nona said, “No, we have to get our sleep tonight.” That’s a problem with humans, you know. They need their sleep. We plastic Jurassics don’t sleep. The outside covering of the cactus plant is tough and waxy to hold in water, so it won’t dry up in the hot sun. 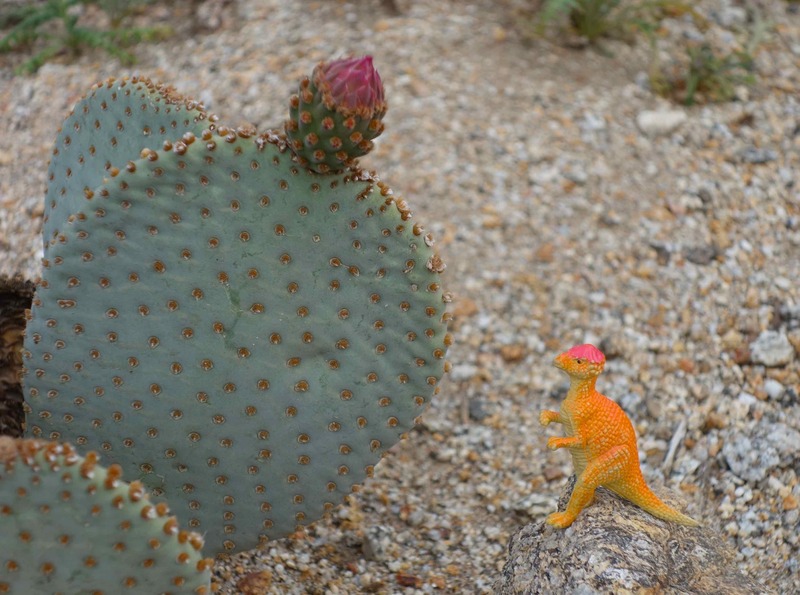 Pretty soon, Nona had me on this rock out in the desert staring a this amazing plant. Someone said that I could call it a “Beavertail Cactus” because its sections are wide and flat like a beaver’s tail. By the way, I didn’t see any real beavers here in the desert, I think they need more water and less heat. Oh, darn, Nona and Papa are going on another of their walks. I have to close this letter now. My next letter will be a lot more about our walk in the Colorado Desert, but, remember, we were in California all the time, not in Colorado. Isn’t that confusing? Why isn’t it called the California Desert? That’s question for me to ask Nona. Bye.